The age old saying in Formula One is that there are no points for qualifying on a Saturday. And yet, the way the grid is decided still provides plenty of attraction and entertainment for fans at home and at the track, and sometimes, just occasionally, has the potential to mix things up on Sunday – the day when the points are handed out. Over the years, F1 has tried out several different qualifying formats, and each time there’s a change, it’s only natural to compare and contrast with what has gone before. So which format is the best? For the 2016 season, the FIA tried to introduce a last minute change to qualifying that turned a three session knockout style format to a more brutal elimination style instead. It only took one attempt to realise they’d made a distinct error with this format, that no one appeared to enjoy it – teams, drivers, paddock watchers and ardent fans alike – and it was quickly ditched. That format will likely not live on in infamy, or at least not for the right reasons. There are three formats that get the most attention in any qualifying debate: the “here’s your allotted time, have at it” format, the single lap qualifying and what we have now, the knockout style amalgamation of everything. In the first type, that surely has a more catchy name than what I have come up with, drivers have a certain amount of time to complete their laps, they can go out when they want, and their fastest time dictates their position in the order. A fair and easy to follow format, but like practice sessions, likely to leave a lot of empty track time and see drivers caught up in traffic if they all opt to go out at the same time. The single lap qualifying had more of a time trial element to it. Each driver went out by themselves in turn, for their one flying lap, and that was it, their only opportunity to put in a good performance. This has the added bonus of really sorting those that can handle the pressure from those that can’t, and helps you see where drivers are doing well and where they’re not, plus slots one driver at a time into the grid to help confused fans keep up. However, it also means drivers can be unfairly affected by weather conditions that move in or clear out, and those who go near the end of the order have a better surface to run on. It can also be considered boring for fans who don’t want to see one car at a time and prefer the hustle and bustle of a busy session. And that leaves us with the current format – three sessions of reducing length, wherein the slowest six or seven cars are knocked out whilst the rest continue to the next session, culminating in a top ten shoot out for pole position. On the surface, this is a good compromise, allowing drivers to get several laps in each session rather than all the pressure being on one single lap, giving drivers the space to go out when they want but inevitably having the bustle of a last minute showdown. It can be confusing when driver after driver crosses the line and the order reshuffles, but when the dust settles, it usually seems like a good grid with the potential for a surprise here and there. But is compromise the right thing for F1 to do? Fans tend to like the qualifying they know best, so perhaps it depends on when you started watching. With the governing body keen to keep evolving the sport and enhancing the show, qualifying is often under discussion for a regulation overhaul, but does it need it, and if so, should it go back to a previous iteration or try something totally new? 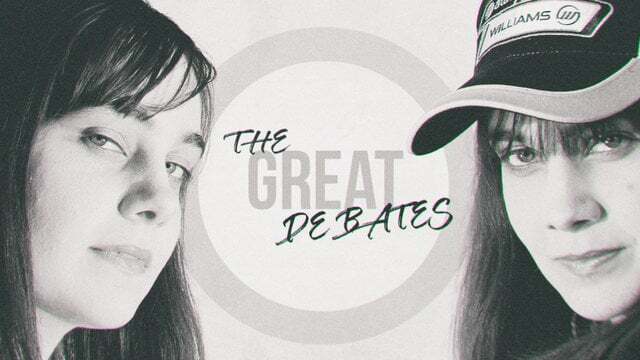 Thanks for listening to the second episode of The Great Debates, where we analyse the topics that generate heated discussions around the F1 world, without coming up with any answers. Do let me know if you’re enjoying the show, by visiting sidepodcast.com/contact, and join me again tomorrow for another debatable topic. Previous post The Great Debates - Is F1 entertainment or sport? Next post The Great Debates - Is F1 a team or individual sport?